Christian Bourne is a charging, street-annihilating machine at the ripe age of 18. Salt Lake City’s next generation of Sk801 rippers is here, seeking out all of the tracked and untracked territory that this city has to offer, and Christian Bourne is one of them. Already making a name for himself locally and out of state, Bourne is a charging, street-annihilating machine at the ripe age of 18. 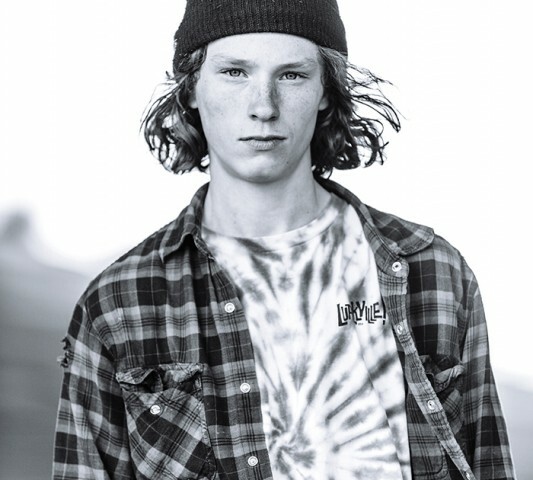 Growing up for the most part in Salt Lake and following the Sk801 rippers around him, Bourne is a kid who is hyped to be on his skateboard with his friends. A mellow dude off his skateboard and an absolute animal on one (kid straight-up broke a handrail on a back lip attempt), Bourne and I found some time to chat at Fairmont Park while we watched the rest of his crew tear up the park. Keep this name in mind for sure. With the factoids out of the way, let’s get down to business. Bourne is a “for the homies” kind of kid who thrives off of the excitement of his friends each and every day. “Watching skate videos and watching my friends get tricks that are gnarly gets me hyped. My friends definitely influence me the most, and all of the OG Sk801 kids. Guys like Colin Brophy, Sam Hubble and Holland Redd—all those dudes are the best,” he says. As far as the film game goes, Bourne’s first major skate part was in the latest Sk801 video, Die High or Hell Ride. Filmed primarily by the late Colton Ericksen, a dear friend of Bourne’s, this part holds a special and inspirationalplace in Bourne’s life. “We are working on the newest [Sk801] video called Zorch Life. That was going to be Colton’s next video, so I’m really hyped about that,” he says. With that project in the works, Bourne is also currently filming for his friends at Prestige Skate Shop out of Boise, Idaho, and sharing the part with close friends Carson and Cameron Parkinson. Keep an eye out for both videos, and support these guys for putting in their work. The Sk801 culture has been an important part in Bourne’s skate-dentity from the start. Bourne recalls the premiere of Sk801’s Four Down a couple of years back: “They premiered it at the Gallivan Center back in 2009 with, like, 3,000 people there. That was my first premiere and it was the best thing ever!” he says. This excitement has left a longtime impression on Bourne and helped shape the skater that he is today. When asked what Sk801 means to him, Bourne gave the rundown: “It’s just the homies meeting up and skating, having good times, partying and filming,” he says. For the future, Bourne’s plan is to be in it for the long haul. With graduation in his near future, the time to skate will increase, as well as his potential to get his name out. “I’m going to try to keep filming as much as I can and keep taking photos,” Bourne says. “I’m just too hyped on skating and it is just too much fun. Happiness comes first, for sure.” Bourne also has hopes of getting into some more contests with some support from his sponsors (get this kid a ride!). With a positive outlook and a skate-driven mindset, Bourne’s future on four wheels is looking prosperous. His humble attitude and gratitude toward those who helped him progress is an ode to the kind of kid Bourne is. 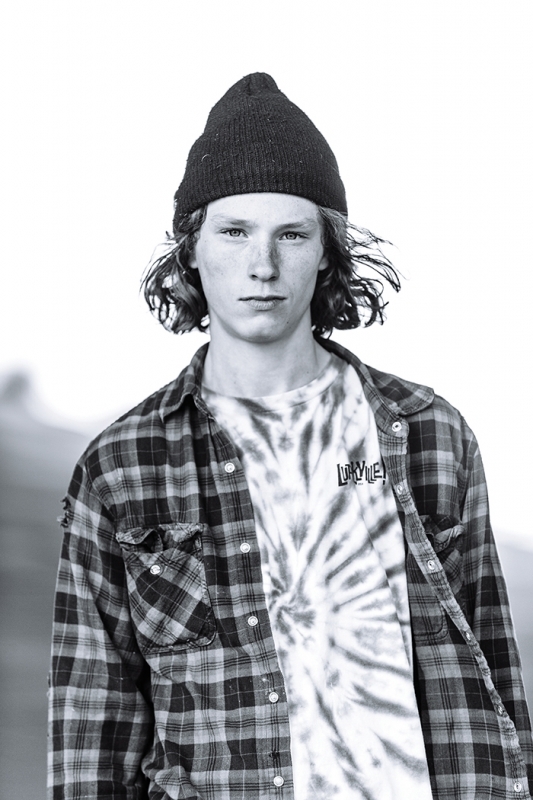 “I have to say thank you to Colton ‘Toner’ Ericksen, of course, Kyle Wilcox, Mack Sharff, Carson Parkinson and Cameron Parkinson, and all the older Sk801 homies, too,” he says. Speaking with guys like Bourne reminds me of how thriving the skate scene is here in Salt Lake City. With great weather, variety of terrain and a progressive skate scene, it is hard to ignore the talent coming out of this city. Check out Bourne’s mind-blowing maneuvers in the LurkVille, Sk801 and Prestige videos. Also make sure to follow/support/stalk Bourne on his Instagram @BourneBourne to see the madness that he calls life.